Had a go today converting an old photograph into a colour version. Really feel that the picture comes to life. This entry was posted in Blog, Compostites, Digital Painting, Portraits and tagged colourising pictures. 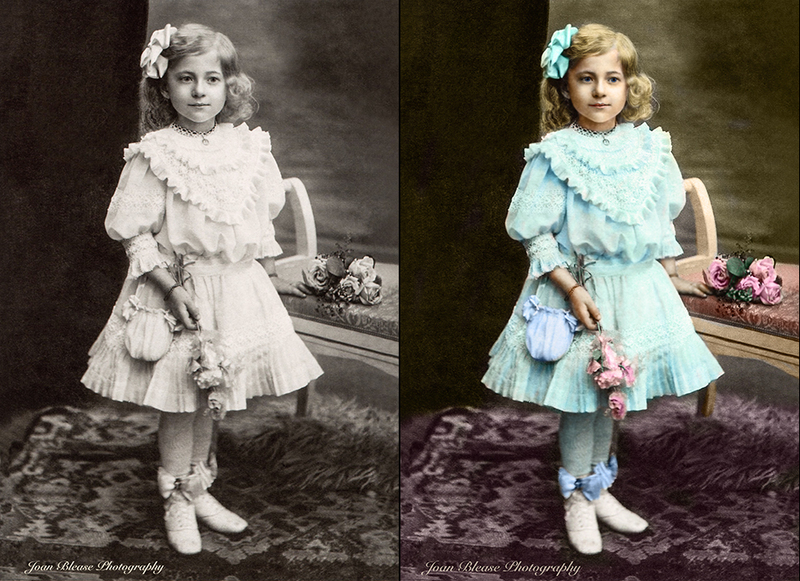 Edwardian Child, mono to colour conversion, old photograph, old photographs. Bookmark the permalink.